NATIONAL REPORT — Advances in technology continue to offer new options for convenience store operators to secure their stores — whether it’s hardware, software, cameras or safes. Axis Communications introduces the AXIS M20 Series, a small, bullet-style camera that can withstand both hot and cold weather. It features an integrated sunshield for protection against sun and rain, and offers flexible mounting options ranging from wall, ceiling, pole and corner mounting. It also provides detailed images with a wide field of view and high resolution. The series includes infrared light beams to deliver surveillance even in the dark, and there are two models available: the AXIS M2025-LE, with up to HDTV 1080p resolution and a horizontal field of view of up to 115 degrees; and the AXIS M2026-LE, with up to Quad HD 1440p (WQHD) resolution and a horizontal field of view up to 130 degrees. 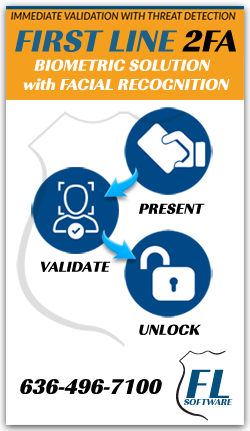 An intelligent facial recognition and security software, First Line by Blue Line Technology provides real-time identification verification for threat detection, access control, and more. Using high-quality, high-resolution cameras, the system captures the image of customers as they walk up to the door, and can be set to only allow entry to the store during late-night hours when the customer looks up at the camera. The software triggers an indicator light on the camera to signal when a face is recognized, and it uses infrared in low-light conditions. Additionally, it can recognize more than 350 points on a face, even if the person is tilted away from the camera by as much as 15 degrees. Operators can also classify faces as Known, Unknown and Alert to stop entry. FireKing Security Group offers its Ascent platform of cash management devices, including note validating, coin and note dispensing models. In addition to validating and securing cash deposits, Ascent delivers the expandability to meet all bill and coin/cash handling needs with devices that can be linked or standalone. If linking multiple types of devices at a location, then all connected devices are controlled, captured and reported as a single accounting unit. They offer an intuitive, modern, icon-driven touchpad interface providing device level control of deposit transactions and reporting. Toshiba Surveillance IP Video Products offers its Ultra HD IP video surveillance camera — the IKS-WB9518 — able to capture 4K video in 3840 x 2160 resolution, at a rate of 25 frames per second. It can reduce the number of conventional HD cameras needed by nearly 50 percent due to its ability to cover very wide spaces, such as retail parking lots, according to the company. It features digital wide dynamic range that optimizes image quality by adjusting the gamma value to enhance dark areas and minimize image deterioration, and it leverages True Day Night imaging, which filters out the infrared for enhanced color images during day mode, yet providing the advantages of a night-vision camera in low-light conditions. The company also launched a new NVR recording platform. It records locally while leveraging the benefits of cloud-based services. The platform not only simplifies user permissions management, but it also improves remote connectivity by leveraging a single universal sign-on, and the improved ability to export and share video clips. Specifically, the single universal sign-on allows users to access their recorders from anywhere with almost any device (PC, phone, tablet) by entering a single user name and password. Video clips can be exported to the cloud where they can be remotely viewed, searched, downloaded and shared with colleagues or law enforcement. Lastly, Toshiba offers the IKS-WD6123 3-megapixel micro-dome IP camera that provides a cost-effective surveillance solution for discreet indoor installations that require superior picture quality at minimal bandwidth. With a profile height of only two inches, its design makes it difficult for people to see which direction the camera is pointing, according to the company. It also provides a wide viewing angle of 125 degrees so that a single camera can deliver complete coverage of a large room, letting security professional observe either side of the camera without blind spots.